Like many of the world’s well-established industries, the transportation sector is under assault from new technologies. Ride-hailing companies Uber, Lyft and Didi Chuxing have swiftly amassed large user bases, increasing the level of service customers expect in the process. Alongside their rise, many uncertainties and questions have emerged. Though corporate clients use these services for their staff, they are often unsatisfied with the level of indemnification and adherence to corporate social responsibility initiatives these large peer-to-peer apps provide. The development of autonomous vehicles is adding to this uncertainty. Millennials aren’t expected to buy as many cars as previous generations, instead favouring ‘mobility as a service’. But in a world where the potential cost of car ownership could skyrocket with the introduction of new technologies, the difference between an autonomous vehicle that is rented and an autonomous cab for hire is an important distinction. While the vehicle may be able to drive itself, who – or what – will be responsible for maintenance and cleaning? Cab operators may not be driving the cars per se, but they may be the ones keeping them on the road or acting as fleet depots. Car manufacturers Daimler, Renault, Nissan and Ford are all heavily investing in future mobility services, but with so many questions left unanswered, it seems as if everyone is simply hedging their bets. At Brunel, we believe we are well positioned to play an important role in the future of the mobility sector. We are a ground-transportation provider that boasts an extensive fleet of vehicles in and around London. What’s more, we are a global player in what has become known as the ‘vehicle-with-driver service industry’. 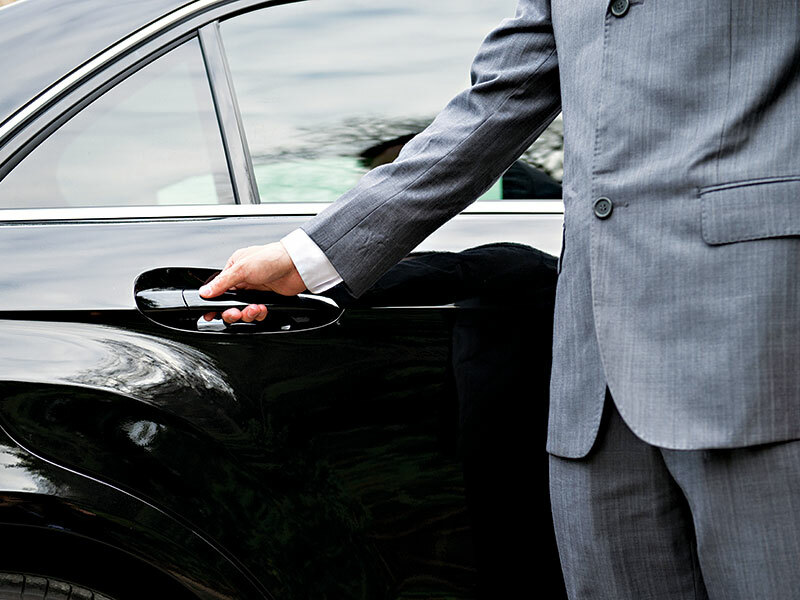 From an economy minicab on the Isle of Skye to chauffeur services available in 480 cities across 75 countries, Brunel provides a remarkable network of vehicles to the world’s most exacting clients. The company utilises a vast network of fully vetted and approved vendors, ranging from very small operators in rural locations to huge app partners in metropolises. With more than 600,000 vehicles available to clients within this growing network, Brunel has carved out an important niche in the transportation market and has plans to further cement its place in the coming years. To truly understand Brunel, you have to look back to 1982. Bill and Jackie Edwards established the company with just a single car in London at a time when minicabs and chauffeur services were still unregulated. For large corporate clients, there were very few car operators that could satisfy their stringent duty-of-care requirements, with the exception of licensed taxis. Alongside the likes of Licensed Private Hire Car Association Chairman Steve Wright, Addison Lee founder John Griffin and proprietor of Carlton Cars Eddie Townson, Bill was instrumental in the regulation of the industry. With an understanding of what businesses needed from a transport provider, Brunel grew and grew. The company embraced technology and was one of the first operators to use a GPS dispatch system to control its fleet. While that doesn’t sound like much today, at the time it was cutting-edge. Further, Brunel provided its clients with online booking facilities many years before it became the industry standard. Upon Bill’s passing, his son, Anthony Edwards, stepped up and began the difficult task of filling his father’s shoes. Anthony knew he needed to take Brunel to the next level while ensuring the company received sufficient investment. In 2016, Brunel became a wholly owned subsidiary of Europcar Mobility Group, with Anthony at the helm as managing director. The ethos Brunel maintained as a family business is what made the company successful and, to this day, remains of paramount importance to its operations. At Brunel, we believe attention to detail and quality service are of the utmost importance. Our commitment to these principles has allowed Brunel to continue to grow in a world where customers expect perfection. Naturally, Brunel also feels well positioned to leverage Europcar’s strengths and infrastructure. At last count, our network included more than 650 cabs in London. Drivers have started to realise that owning a brand new vehicle and suffering through its depreciation is a flawed model. Instead, they are turning to the rental market, which allows them to have a new car each year. We feel other players in the sector are not taking the right approach when it comes to building the global mobility network of the future. Attempts to wipe away all incumbent operators in the sector and replace them are folly. It is easy enough to build a fleet in a large city, but the global app behemoths are finding it is also a very slow and expensive process. They will never be able to provide their services everywhere. The real challenge is providing a customer with the same experience whether they are in Beijing or Bolton. The only way to achieve this is to put commercial relationships in place in rural locations and then enable these services with a technology-based solution. This is what Brunel has done. When dealing with a supply chain made up of operators varying from rural companies with five cars to urban fleets with thousands of drivers, organisation is a key consideration. As such, Brunel is utilising a variety of methods to address this logistical problem. For those with no technology in place, a driver app is provided, allowing bookings to be serviced in areas that are low priorities for global app-based companies. You will have a very long wait for an Uber in most rural areas. Meanwhile, for operators using commercially available GPS dispatch systems to control their fleets, Brunel has written software integrations that allow the bookings to be sent via an application programming interface with numerous system providers. All of this enables clients to book with Brunel through their preferred method, be it via an app, the telephone, a website or their organisation’s travel management system. This allows Brunel to accept these orders and fulfil them in a scalable and seamless way. Brunel will continue to grow this offering, and we have a long list of integrations under development that will further enhance our coverage and service. Innovation comes in many forms – at Brunel, this statement is the core truth of our future plans.